People power rules. 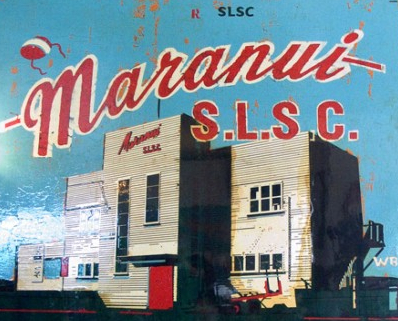 Or so it seems today – if the paper is right, then the Maranui may be about to be saved. We discussed the 5th Scenario here, with some reasonably heated dialogue, but it sounds as though a sensible agreement has been reached. Under a deal announced today, the club gets ownership of the building, along with $350,000 of ratepayers’ money toward repairs, and will lease the land from the council. Mayor Kerry Prendergast said the council had heeded “the overwhelming message from the public … that the building should be saved”. Lyall Bay members were aggrieved that Maranui could benefit from public funds when their request for $500,000 toward a new building had been refused. However, they have been appeased with the prospect of a grant of up to $350,000 toward the $1.8 million complex, if it includes public toilets and changing rooms. This will allow the council to demolish the existing rundown public facilities on the beachfront. Of course, if Maranui members were being sharp, they’d whack some public toilets in the base of their clubrooms, and gain some more dollars and another chance to poke the Lyall Bay club in the eye with a blunt stick, but luckily they’re not like that. The best news is that they’ll do it themselves, and that they’ll start by Christmas, with the building back up and running within 18 months. There are a number of fine local craftsmen working and surfing at the bay, and so any concerns about a bunch of cack-handed hacks should be dispelled – the building will now be in safe hands. Just one thing guys: install a set of sprinklers this time, Ok? The only thing I did not like about Maranui cafe was that it was always packed! I’m glad they were able to save the building, it is quite a classic kind of surf front building and I think a good solid upgrade to the internals and as you say sprinklers would go a long way, they may even be able to get a little more space for the actual cafe seating area in the process. Hi Maximus. If anyone would like to know more, the report about this which is going to councillors next week is available to read here – http://www.wellington.govt.nz/haveyoursay/meetings/committee/Strategy_and_Policy/2009/17Nov0915/agenda.html . It’s Report 2. One point of difference with the Dom Post story is that the money which may go to the Lyall Bay Surf Club building is put at $250,000 to $300,000, not $350,000 as reported. There are 4 buildings there – if Maranui and Lyall and the Toilets are three, what is the other one, and is it going to get demolished too? I don’t know if Kerry P. got it right – the overwhelming message was that Council should make good on its self-insurance. If my house burnt down, I would expect insurance to pay for repairs. If my neighbour complained that it wasn’t fair that my insurance company wasn’t giving them money to re-build their house, well, too bad. I think this King Solomon approach is flawed, mostly in that Council has abrogated its responsibility to its tenants. In response to Mike, I think it’s pretty ropey to claim the Council has abrogated its responsibility to its tenants. If we can come to an arrangement where the building is repaired for around $350,000, surely it is ridiculous to then start talking about ‘making good’ on its self-insurance. The Council also wants to treat both surf clubs fairly. Most observers think that it would be unfair to shovel money at the Maranui building when we have turned down financial assistance for better clubrooms for the much larger Lyall Bay Surf Club – so we’re now trying to come to a solution that helps sort out both clubs. And seconded (thirded? ): sprinklers = win. “In a heated debate that lasted more than two hours, councillors spoke last week of the importance of restoring the heritage building. Deputy mayor Ian McKinnon said that was a main consideration. “The focus for us is certainly on the building.” But other councillors were concerned about the logic of having two surf lifesaving clubs so close together � the Lyall Bay Surf Life Saving Club is on the same beach. “We need to look at surf lifesaving from a broader point of view,” councillor Iona Pannett said. She was the only councillor to vote against the rescue deal. The decision came after Surf Life Saving New Zealand warned an earlier council committee meeting that pumping public funds into rebuilding Maranui instead of a dedicated facility would threaten the safety of the beach. Chief executive Geoff Barry said it recognised Lyall Bay Surf Life Saving Club as the organisation that patrolled the beach and it was a “mistake” to fund two clubs. At the earlier meeting, Maranui representatives tabled a petition signed by 5676 people, and an online petition signed by 2706 people supporting rebuilding the club and cafe. Maranui club chairman Peter Clark said Mr Barry’s comments took a “fairly harsh line”. Here’s something from the Capital Times on the Maranui, but i can’t find the ‘Muted Horn’s original gripey moan. I am ready to HELP you dear Muted Horn by listing a few of the many exclusive charms of Maranui. Beginning with views of the sea enhanced by the sight of aeroplanes descending across the sky. Then the atmosphere of warmth and youth that pervades the place together with charming and attentive waiters and waitresses, and, to crown it all, generous helpings of delicious inexpensive food. I am certain that even though you may not have been a member of the �arts community� you would have been forced to admit that it was a delightful way to spend an hour or two on a Sunday afternoon far away from the bustle of the city, and that you would have been sad at the thought of its demise.